Tools or tests to assess planning- How can you find the deficits? How can you recover and improve planning and other executive functions? Planning is a fundamental cognitive skill that forms part of our executive functions. Planning can be defined as ability to "think about the future" or mentally anticipate the right way to carry-out a task or reach a specific goal. Planning is the mental process that allows us to choose the necessary actions to reach a goal, decide the right order, assign each task to the proper cognitive resources, and establish a plan of action. Even though everyone has the ability to plan, some people do it in a different way. This executive function depends on elements like brain plasticity or neuroplasticity, myelinization, establishing new paths or synaptic connections, etc. In order to plan efficiently, you need the necessary information, but you also need to be able to mentally establish an adequate synthesis of all the data. Deterioration or an alteration in the planning ability makes some things more difficult, like, for example, organizing an event or activity, shopping, following instructions, completing a task, packing a backpack for school, etc. The good news is that the mental processes used in planning (creating goals, making plans, etc.) can be trained and improved with cognitive stimulation and a healthy lifestyle. 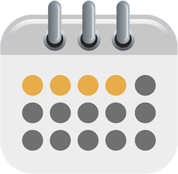 At CogniFit, we have the best tools to help you train your planning executive function. Some examples of when we use planning in our daily lives may be: Planning a trip, making a grocery list, cooking, doing homework or packing your backpack for school, cleaning your room, etc. Different mental disorders or neurological pathologies are characterized by alterations or deficiencies in one's planning ability or deficient executive functions. CogniFit allows medical professionals to identify and precisely calculate these cognitive deficits. The neuropsychological assessment is an effective tool to help the professional recognize and understand determined pathologies, and efficiently make a diagnosis. An absence or deficiency in the planning ability is considered typical in frontal lobe disorders (especially related to disorders that affect the prefrontal dorsolateral area). Any task that requires planning, organization, memorization, time management, and flexible thinking will be a challenge for people who have deficient planning abilities. Through the neuropsychological assessment, CogniFit is able to efficiently and accurately assess a wide range of cognitive skills related to our executive functions and other brain functions, among of which is planning. All of these skills have been regulated and scientifically validated by studies at universities like the University of Tel Aviv (Tel Aviv, Sackler School of Medicine). To assess planning, we use two specific tasks based on classic tests, like the TOL: Tower of London, Shallice (1982) test. These tasks are responsible for assessing how the user approaches a task and anticipates what to do. The part of the brain responsible for planning and decision making is called the ventrolateral frontal cortex, which is the region that controls complex thoughts and decision making, goal making, time management, and cognitive actions, as well as self-control. Assessing these cognitive domains allows us to identify the important aspects of planning and the user's ability to use planning in each of the tasks. Aside from planning, these tasks also assess spatial perception, visual short-term memory, and visual scanning. The Cognitive Concentration Test VISMEM-PLAN was inspired by the direct and indirect digits test from the Wechsler Memory Scale (WMS), the classic Memory Malingering (TOMM) test, and the classic Tower of London (TOL) test, each which measure different cognitive skills used in executive functions. This task allows for a basic cognitive screening of the user's organization, structuring, attention, and systematization. The Programming Test VIPER-PLAN, used the Tower of London (TOL) and the classic Hooper Visual Organisation Task (VOT)(1983) test. These tests will help the professional identify the user's planning and organization abilities. 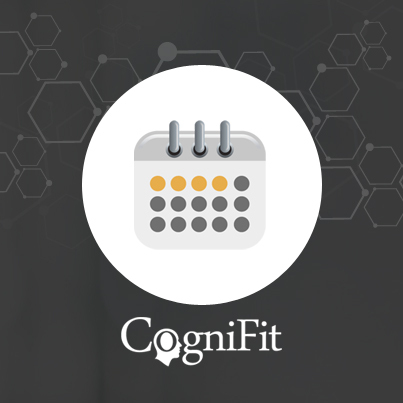 Just like any other cognitive skill, planning and all of our cognitive functions can be learned, trained, and improved, and CogniFit helps you do that in a simple and professional way. The clinical exercise batteries from CogniFit offers the user to train the executive functions and mental planning. Through studying brain plasticity, we know that the more we use a neural circuit, the stronger it gets. This same idea can be applied to the neural networks that are used in mental planning. To stimulate the cognitive processes used in planning, you need to train consistently. Scientific communities and medical centers from around use CogniFit to assess and train their patient's cognitive abilities. You only need to train for 15 minutes a day, 2-3 times a week. The clinical exercise battery from CogniFit improves the user's cognitive profile and helps neuroplasticity by creating new synapses and neural circuits that are able to reorganize and recover function in the weakest cognitive domains. This program is available online. The different interactive exercises are presented as fun brain games that you can practice on any computer or tablet. After each training session, CogniFit will provide you with a detailed progression of your cognitive state.